Debt to equity ratio: This allows lenders to compare the assets of the company with its debts. Financial institutions consider companies with a high ratio of debt to equity as a higher risk than companies with little or no debt. Calculating a debt-equity ratio is done by using a balance sheet to divide the company’s liabilities by its shareholder’s equity. Operations margin: The profit of a company makes a percentage of its total sales which is called an operating margin. This helps to separate the gross revenue of a company and its net profit which measures a company’s profitability. Current ratio: This is a liquidity ratio that measures the ability of a business to pay for its expenditure by expressing the number of times assets exceed their liabilities. Total assets are divided by total liabilities. Inventory ratio: This measures a company’s production and purchasing efficiency. It notifies investors of the number of times a company has sold its inventory. It is calculated by dividing the cost of products /services by the cost of inventory. If a company has a higher ratio it means they are more efficient at turning over their inventory and they are most likely to be considered by lenders. The consumer needs to have a credit history. A credit history is important as it allows lenders to evaluate how well you have settled your debts in the past. Your credit history also allows them to assess your affordability. Timeous payments of bills– paying bills on time also helps with a good score. This also goes to small bills that seem to be irrelevant, like the gym or library fee. These small bills might be found on your credit report and consequently affect your credit score. Keeping credit balances low also helps with a good credit score. Maxing out credit balances might be viewed as reckless and desperate. Credit card balances should be within 30 per cent of all your combined credit limits. Knowing what is required to get a good credit sore also helps maintain it. Five key pieces of information are used. These are payment history, level of debt, credit age, mix of credit and recent credit. Paying more than the minimum of what you are asked on your account also helps with a good score. Paying only the required amount might be viewed as distress. Check your credit sore. Knowing your credit score is important. It helps guard against fraudulent activities on your account. It also allows you to check for any errors in the information presented to Bureaus. Liquidity ratios measure the ability of a company to meet short-term obligations. Major liquidity ratios include the current ratio, quick ratio, cash ratio, and defensive interval ratio. Solvency ratios measure the ability of a company to meet long-term obligations. Major solvency ratios include debt ratios (including the debt-to-assets ratio, debt-to-capital ratio, debt-to-equity ratio, and financial leverage ratio) and coverage ratios (including interest coverage and fixed charge coverage). Profitability ratios measure the ability of a company to generate profits from revenue and assets. Major profitability ratios include return on sales ratios (including gross profit margin, operating profit margin, pretax margin, and net profit margin) and return on investment ratios (including operating ROA, ROA, return on total capital, ROE, and return on common equity). With so many families struggling to make it from paycheck to paycheck it’s not hard to see why quick, low value cash loans, known more popularly as microloans, are popping up more frequently in the news and advertising. They’re a simple, user-friendly solution to a problem we all have from time to time that doesn’t necessarily tie you into the traditional bank’s way of doing things. Many people need a little extra cash from time to time, whether it’s for groceries or sudden emergencies, like accidents or burst pipes. Getting cash loans from banks through formal and orthodox approach can be a problem. Most banks or commercial lenders require surety, a spotless credit record, and substantial paperwork before qualifying for a loan, even if it is a small personal loan. The underlying factor is that these loans are more than likely designed for those who don’t require extra cash, or require more substantial loans such as property acquisition and are paying back over a prolonged period of time. If you need a bond, they might be able to help you relatively more seamlessly, but still the paperwork and hassle is the same if you have an immediate need money to buy petrol until payday, or if you’ve had an accident and need the money for hospital bills. This is because traditional banks don’t typically deal with needs arising from day-to-day cash cash-flow demands. This is where microloans come in. A quick cash advance for generally up to R15,000 can be completed with minimal paperwork, cleared into your account within 24 hours, sometimes even on the same day, and ask for nothing more than a cellphone contract would – a bank statement, payslip, and proof of ID and residence. Since these quick cash loans are unsecured, you won’t need to put up your house or car to secure them. Accredited facilitators will also be able to assist you with finding the best loan option, interest rates and even provide professional advice and assist in correctly motivated applications for clients with compromised ITC records. Direct bank applications are inclined to be non-negotiable in this regard – miss a couple of cellphone bills and you probably wont be able to secure a cash advance, even if you can prove that you have the income. With cash loans, this can be overcome. 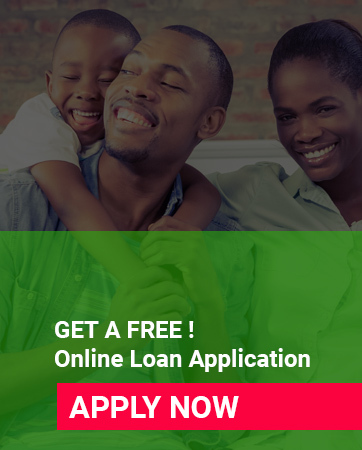 Quick online cash loans are as simple as completing the application form online and getting a trained consultant to get back to you to confirm all your details. Without the endless paperwork, unnecessary phone calls, and with a wide range of loans and repayment periods to suit your need, you will no longer have to endure lengthy phone calls and repeat visits to the bank or brokers office. Augmented Salesforce Platform with many technologies, fintech solutions and AppExchange partners, as well as personalized channel engagement through automated marketing using Salesforce Marketing Cloud. Ability to expand relationships by having full visibility into bank relationships across business units.